On Friday, December 6th, the Womyn’s Centre at the University of Windsor will be hosting a memorial and reception as part of the National Day of Remembrance and Action on Violence Against Women. The National Day of Remembrance and Action on Violence Against Women is a day to remember and reflect on the horrific massacre that took place at L’Ecole Polytechnique on December 6th, 1989. It was that day that an armed man entered the institution and murdered 14 women under the guise of “fighting feminists”. 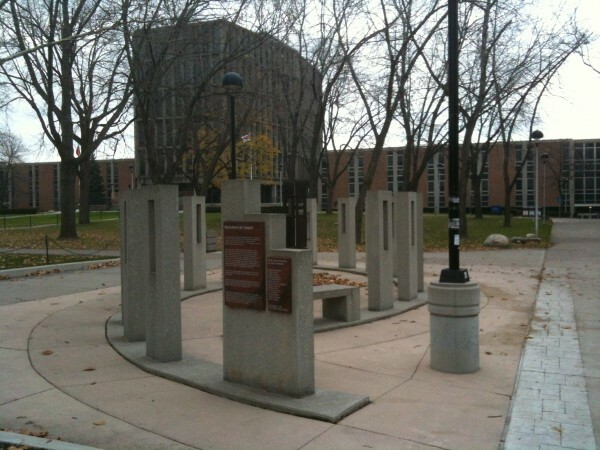 The event will start at 4:30pm with a candlelight vigil at the Memorial of Hope, which is located between Dillon Hall and Essex Hall on the University of Windsor Campus. Following the vigil will be a reception in Katzman Hall, located in Vanier Hall at approximately 5pm. This event is free and open to all members of the UWindsor community and Windsor/Essex community, and all are encouraged to attend.